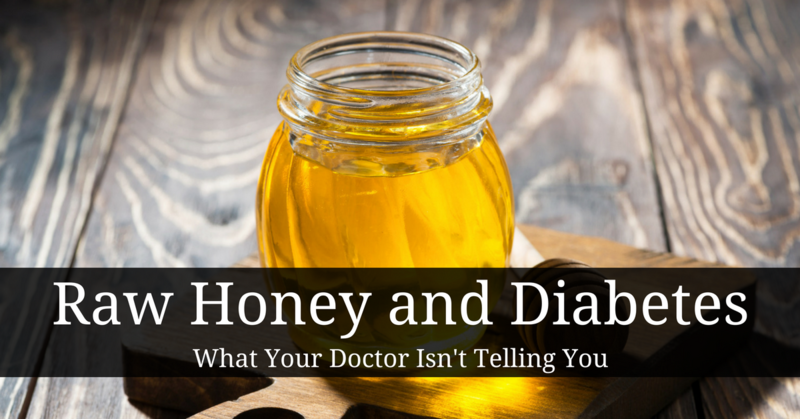 A common question I get is whether or not diabetics can consume honey. It has long been thought that honey should be severely limited (along with most sugars) by diabetics. But the science strongly indicates that this is not the case. Below I cover three studies on raw honey in diabetics, all of which show positive health benefits for those who consume honey. In the first study, scientists set out to investigate the effect of consuming honey with one of two common diabetes drugs - metformin or glibenclamide. Diabetic rats were randomized into six groups and administered distilled water, honey, glibenclamide, glibenclamide and honey, metformin or metformin and honey for four weeks. What the scientists found was that honey significantly increased insulin, decreased hyperglycemia and fructosamine (fructosamine are used to identify blood glucose concentration over time). Although the two drugs alone significantly reduced hyperglycemia, when they were combined with honey they produced significantly much lower blood glucose as compared to the drugs alone. Similarly, glibenclamide or metformin combined with honey produced significantly lower fructosamine levels whereas glibenclamide or metformin alone did not decrease fructosamine. Even more interesting was that glibenclamide or metformin combined with honey also significantly reduced the elevated levels of creatinine, bilirubin, triglycerides (blood fats), and VLDL cholesterol (VLDL cholesterol is considered a type of "bad" cholesterol because elevated levels are associated with an increased risk of coronary artery disease). Wow. 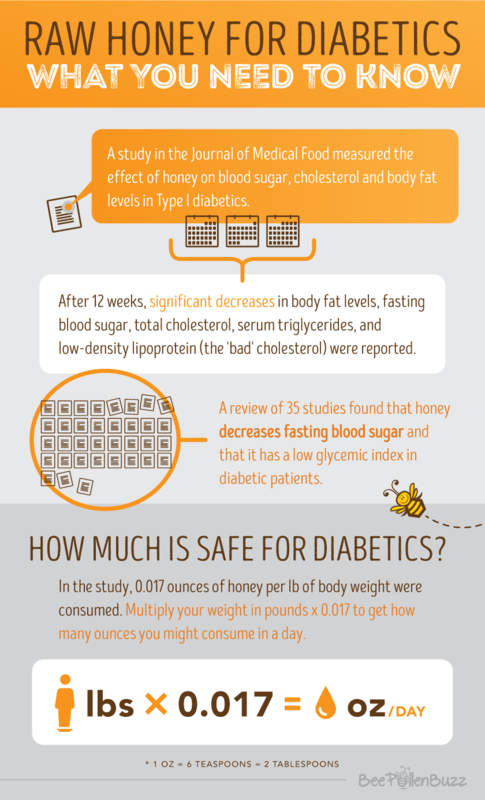 It seems counterintuitive that honey actually lowers blood sugar levels. But the science clearly shows that it does. And furthermore, it appears to lower cholesterol as well. This supports what I often see with clients and customers. While the study didn't state how much honey was administered each day, we see amounts of 2 tablespoons per day working effectively. In another study, honey improved glycemic control in diabetics. Glycemic control is 'the control of your blood sugar (keeping it low).' Controlling blood sugar, especially in diabetics is a very good thing. Besides its blood sugar lowering effect, studies also indicate that honey reduces lipid abnormalities (for example, cholesterol) in rats and humans with diabetes. 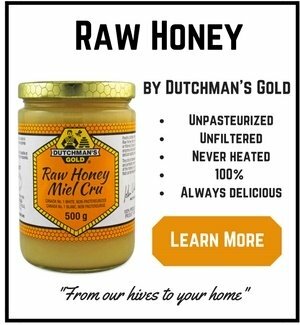 So, if you suffer from diabetes or insulin resistance, consuming raw honey might just be of benefit to you. A study in the Journal of Medical Food has gone even further, measuring the effect of honey on blood sugar, cholesterol and even body fat levels. The aim of this study was to evaluate the metabolic effects of 12-week honey consumption on patients suffering from type 1 diabetes. What happens to the blood sugar, body fat and cholesterol levels of diabetics when they eat honey for 12 weeks. This was a randomized crossover clinical trial (the gold standard of clinical trials) done at the National Institute for Diabetes and Endocrinology in Cairo, Egypt. Twenty patients of both sexes aged 4 -18 years with type 1 diabetes participated in the study. The participants were given honey in a dose of 0.5 mL/kg body weight per day for 12 weeks. This would equate to less than a quarter cup of honey per day in a 150 pound person. During the study, the main measurements taken were serum glucose (blood sugar), lipids (blood fats), and C-peptide (newly diagnosed diabetes patients often get their C-peptide levels measured as a means of distinguishing type 1 diabetes and type 2 diabetes). The intervention resulted in several very interesting health benefits. Significant decreases in body fat levels (as measured by subscapular skin fold thickness), fasting blood sugar, total cholesterol, serum triglycerides, and low-density lipoprotein (the 'bad' cholesterol) resulted from the 12 weeks of honey consumption. The authors went on to say that this small clinical trial suggests that long-term consumption of honey might have positive effects on the metabolic derangements of type 1 diabetes. Middle Eastern researchers set out to conduct a comprehensive review of all of the research done on honey in diabetics. This study investigated the preclinical, clinical, human and animal model studies on honey and diabetes. The 35 studies that met the strict criteria of the researchers found that honey decreases fasting serum glucose (blood sugar), increases fasting C-peptide and 2-hour postprandial C-peptide. Honey has a low glycemic index and peak incremental index in diabetic patients. If you are a diabetic and want to use honey to help improve your blood sugar levels, lower your LDL and possibly body fat levels, you need to determine how much honey you need to consume each day for the 12 weeks. 1 kilogram is equal to 2.2 lbs. So convert your weight to kilograms first. Once you know your weight in kilograms, multiply your weight by 0.5 to get how many milliliters of honey you need to consume each day. To convert to ounces, you need to know that 1 ounce is equal to 29.57 milliliters. Divide how many milliliters you need to consume by 29.57 to get how many ounces. 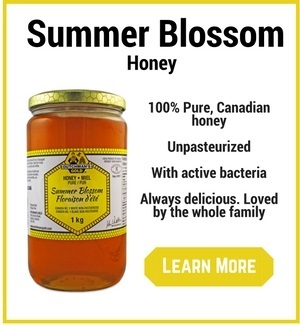 I recommend only using raw or unpasteurized honey. It would be my guess that a Raw Honey will work even better than a standard, refined honey likely used in this study. To accelerate and improve your results, use the product GlucoSmart during the 12 weeks. 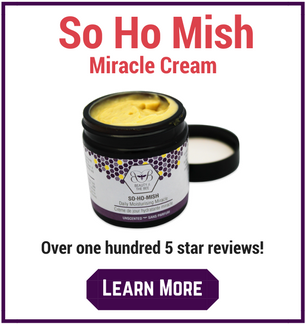 This product is extremely effective for diabetics at controlling blood sugar. Chirositol, the main ingredient in it, has been studied in over 30 human clinical studies, all of which showed it’s positive effect on blood sugar. International Journal of Biological Sciences, 2011; 7:244-252.